The School’s basic mission is to teach and train high-quality physicians, biomedical scientists, and allied health workers for Hawaiʻi and the Pacific. Its major purpose is to provide an opportunity for a medical education previously unavailable to residents of Hawaiʻi and other Pacific nations. Our vision is ALOHA: to Attain Lasting Optimal Health for All. Some unique features of the School’s M.D. 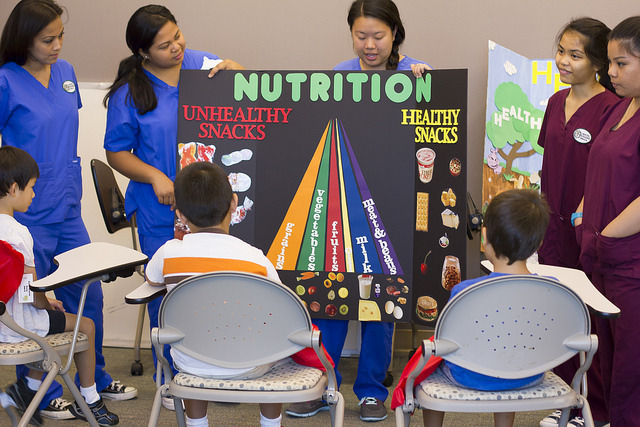 program include its Problem-Based Learning curriculum (PBL; see Medical Education), and community-based medicine program. In addition, clinical instruction is accomplished in affiliated community hospitals and clinics. The benefits of this approach are several: it is more economical; students from the start are thrust into the real world of day-to-day clinical activity; and working directly within the community involves extensive participation of community physicians and other health professionals in the training of future physicians. Our mid-Pacific location, ties the Pacific island nations and Southeast Asia, and the State’s multi-ethnic, multi-cultural population all combine to give the School its distinctive flavor and opportunities. JABSOM is among the most culturally and ethnically diverse medical schools in the country, and its student body mirrors the rich diversity of the State’s population. The School has always and will continue to play a historical role in expanding opportunities for women, minorities, Native Hawaiian and Pacific Islanders, and the socio-economically disadvantaged. Programs such as ʻImi Ho’ōla (“Those who seek to heal”, see Programs-ʻImi Ho’ōla) and the Native Hawaiian Center of Excellence have dramatically increased the number of under-represented minorities and disadvantaged physicians in the community. Advanced medical and biomedical research at JABSOM has received international recognition for pioneering work in human fertility, human heredity, comparative genetics, evolution theory, infectious disease, pharmacology, and cross cultural psychiatry, among other fields. Its work on the better understanding of Hansen’s Disease is part of Hawaiʻi’s legacy to the world. More recently, it has made contributions in AIDS, in Kawasaki’s Disease, and the epidemiology of heart disease. It is also affiliated with the University of Hawaiʻi Cancer Center. In 1998, JABSOM researcher Dr. Ryuzo Yanagimachi and his team of scientists made history with the announcement of the Honolulu Technique for cloning mice. The School’s primary investigative focus over the decades has been in those areas for which it is ideally qualified by its diverse population: to improve the health of ethnic groups, many of whom are otherwise underrepresented in health research, and to conduct research with those groups in a culturally relevant manner. 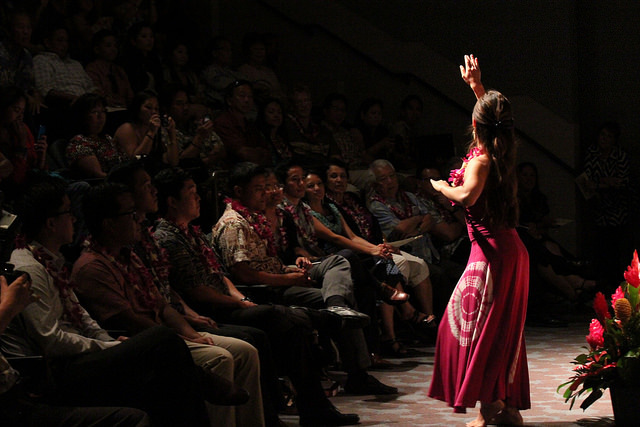 Our featured photograph by Amanda Shell shows MD 2018 class member Leimomi Kanagusuku dancing at the 2015 ʻImi Hoʻōla baccalaureate Program Completion Ceremony.